1. When recording to digital – keep your levels a bit more conservative. Aim for -18dBFS when recording at 24-bit. And at 16-bit? Best to just stick to 24-bit. Don’t worry about levels looking low on the meters, and don’t worry about “having less bits available”. You’re still getting 21 bits, which is about the maximum you can actually encode from the analogue side anyway. You’re not losing anything, and you’re getting decent digital headroom and much bigger/more dynamic sound. Try it! 2. The best EQ you’ll ever get is on the end of the microphone. Spend time getting an awesome sound from the microphone itself, and your mixing will be much easier. Get the mic/instrument position nailed and try different mics if the sound’s not working for you. Omnis are awesome. Don’t think the most expensive mic is always the best, either – the humble Shure 57 and Sennheiser 421 are more than just drum mics. 3. Don’t over-compress everything. Be judicious when you compress – be aware of what you are trying to achieve. Are you even-ing out the performance of a bass track? Or compressing the drums to get a particular texture? Don’t just do it to “turn it up”. That’s what the faders are for. If you want your overall mix to sound louder – get the mastering engineer to do it. Over-compressing will rob your song of “punch” and fatness. 4. Set the compressor release-time so it works with the rhythm of the track. Set it as long as possible but so level reduction still manages to get back up to unity before the next beat/phrase. Then fine-tune so it adds to the groove. It’s tempo-based. 6. Create contrast. On the subject of arrangement – take a leaf out of Nirvana’s songbook – create big contrasts between, for example, verses and choruses. “Loud” only sounds loud if it’s got some “quiet” to compare against. Another reason to watch your compression, too. Try subtly easing down the rhythm guitar level as you go through the verse, and then suddenly bring it back up to the original level for the chorus. Sounds loud again, doesn’t it? 7. Commit. Don’t record 70 takes of a vocal track and then edit it later. Why didn’t you just keep doing punch-ins until it was right? Now you’re going to have to spend 6 hours trying to edit vocals when you could have got a decent take in probably an extra half-hour. Murphy’s law will also make sure that NONE of those 70 takes contains a good first line of the third verse. And if you think that the rhythm guitar sounds perfect with that grottelflange pedal on it – record it like that! If you’re paranoid – capture both versions – and keep the clean guitar track in a backup session. In other words – don’t defer all your decisions till the mix – make a call and go with it. 8. Be daring. Bands don’t usually become famous for sounding just like other bands (maybe in the short-term). They become famous for being unique. If the band sounds like everyone else, you’d better be trying hard to find something unique in there and be highlighting it. Or find a unique way to present them in the recording by your approach. Don’t be scared to go “over-the-top” with effects – you can always make them more conservative if you have to, but it’s almost impossible to go the other way once you’re used to the sound you have. 9. Err on the side of performance. There’s magic in a good performance. Does it give you goose-bumps? Better to have a piece of music that moves you than something that’s technically perfect but “cold”. This is where an experienced band can nail it – they can give a good performance early-on, before they get bored. By the way – don’t run-through the whole song when sound-checking otherwise the performers get stale before you’re ready. And why weren’t you recording already anyway!?!?! 10. Highlight character. Often it’s the imperfections that make our ears prick up. Ideally the imperfections shouldn’t be big enough to ruin the song, though. Have you often thought the demo of a song is better than the final recording? What made the demo unique? Don’t try to make every instrument “perfect”. Don’t EQ instruments while they are solo’ed – you’ll end up trying to make everything sound fat and full, which adds up to “bland”. Try to make at least one sound unique in the mix. 11. The mixdown is a performance too. If the levels are static in your mix, it’s going to sound boring. The human brain is wired to detect change. You better have some stuff changing through the song to keep the listener’s brain stimulated. If you have an interesting arrangement, you probably don’t need to worry so much about eg levels changing through the mix, but if your mix lacks contrast, you’d better be riding those controls. Think of the song like a movie – what’s the camera looking at now? 12. Use your ears – not your eyes. One of the dangers of digital recording is that we can see what the waveform looks like. And what the levels look like. And what the EQ curve on the plug-in looks like. Turn off the display when you’re doing your critical listening. Don’t move all the drum beats and bass and guitar perfectly in time – they’ll sound tighter but thinner. 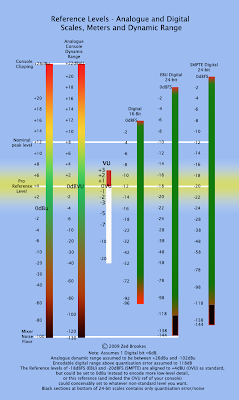 Don’t tweak your EQ until it “looks” better. Have you noticed how you notice things differently while you’re bouncing the final mix?